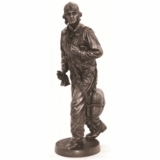 Holiday Decorations: Our pilot Santa Claus figurine is ready to land at your home with holiday musical cheer. 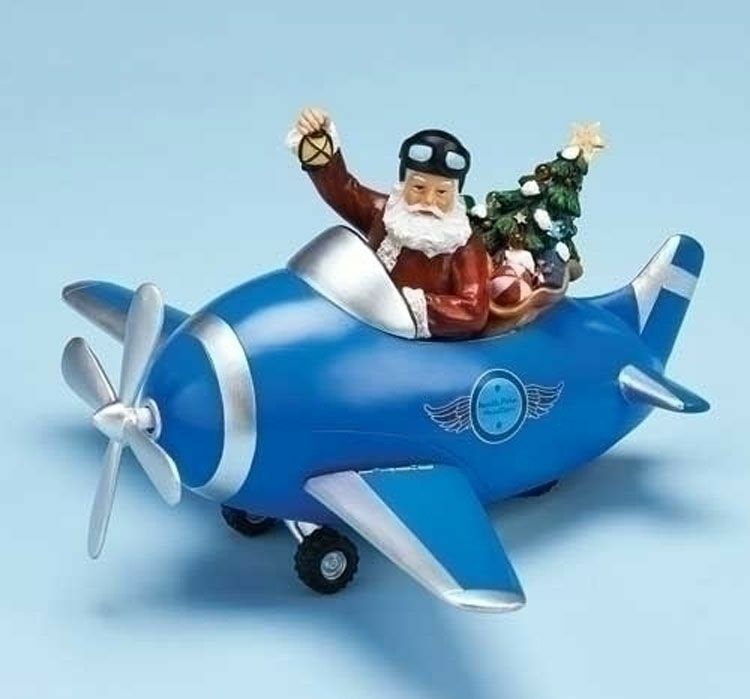 Santa, outfitted in flying helmet and goggles, is piloting his blue airplane bringing loads of Christmas merriment. 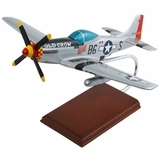 This delightful holiday airplane decoration is made from polyresin, and is programmed with some of the most popular Christmas carols. Many musical figurines have just 1 or 2 songs, our Santa musical figurine has eight classic holiday carols. The propeller also spins as the music plays. 3 “AAA” batteries are necessary to hear the wonderful tunes.